The juror’s results are in. Frank Herrera selected 26 images from 23 artists out of 108 images submitted. Having taught photography for the past 50 years or so, I must have looked at millions of photographic images, mainly to determine how to best advise folks how they might improve their work. That advice can be sometimes technical, aesthetic, conceptual, or even spiritual. 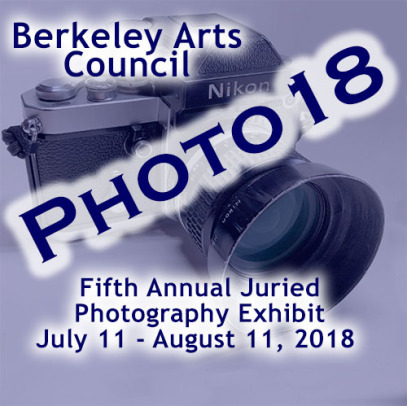 In jurying a contest like this, seeing work for the first time, absent a historical context, I try to encourage work which I think original, technically proficient, thoughtful , and capable of holding the viewer’s attention for more than a few seconds. I’m looking for new ideas , photos that push the boundaries. By that, I definitely do not mean using the latest APP –like one which automatically makes your snapshot look like a Van Gogh painting. Winnowing down an entry list of 108 down to 25 finalists is pretty brutal. I’ve always tried to encourage everybody who takes photography seriously enough to go to the trouble of presenting their work for scrutiny from me as well as the public, deserves recognition. I have participated in many juried shows over the years. Done well in some…In others, well, there’s always the next time. Don’t be discouraged. Thanks to the BAC for the chance to participate. Lots of impressive work-thanks for making it hard to choose. 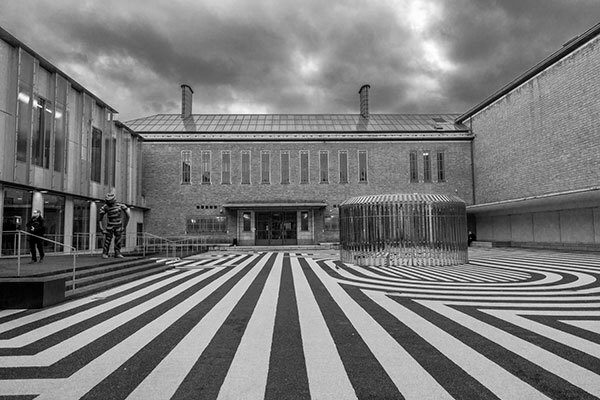 Julie's photograph Courtyard Boijmans, Rotterdam, the Netherlands was juried into this show.